Spark Hire is a video interviewing platform that helps organizations of all sizes make better hiring decisions significantly faster than ever before. Just imagine – instead of spending 30 minutes on a phone screen early in the hiring process, you can have candidates record video responses to your interview questions on their own time. You’re able to review these video recordings at your convenience and share them with hiring managers. As a result, you’ll interview way more people in far less time, learn more about your candidates, and boost collaboration so you’re only investing time and effort into the best candidates for in-person interviews. The typical Spark Hire customer increases the efficiency of their screening process by 5-7x while improving the quality of their talent pool. Video interviewing is a competitive and crowded space! What’s been the key for Spark Hire to amass 5,000 customers, and counting? It has always been our mission to become a staple in the hiring process for as many organizations as possible. Therefore, when we launched the business, the focus was to reach massive scale and not restrict the use of our solution to only large companies. This strategy shows itself in our pricing model in which there are no contracts and customers can try us out on a month to month basis at a cost-effective rate. In addition, we placed a strong emphasis on delivering a super easy to use product and an amazing customer experience. Our goal is to be the best company that our customers ever do business with. Ultimately, this has led to thousands of happy customers and recognition as the top video interviewing platform across all major software review sites. How many employees are at Spark Hire? Because Spark Hire itself has grown pretty fast. Currently, we’re just over 40 employees, but the team size is continuing to grow and we keep taking more space in our building. Also, it seems like the more people we add to the team creates new jobs that we need to fill. For example, as we expand the sales team and bring on more customers, we need to keep pace on the customer success side and hire people who will work with all of the customers we are signing up. One of the things that we’re really proud of is the methodical way we’ve gone about building the business. We never raised any venture capital funding and have been profitable for years. This keeps us accountable for executing on our strategies and developing a company that’s going to be around for the long haul. Let us in on the magic. What’s the interview process like at Spark Hire? How do you utilize your own tech to discover the best talent? We use our technology in multiple phases of our hiring process. When a candidate applies, we do the typical resume screen and then use our interview scheduling tool to book a quick call between a candidate and someone on our recruiting team. During this call, we provide the candidate with more information about the company and the job and make sure it’s a mutual fit to move forward in the process. From here, we invite the candidate to complete a one-way video interview. We usually ask 5-7 questions to get to know the candidate more. When the interview is completed, a notification lets everyone on the hiring team for that role know that an interview is ready to be viewed and evaluated. Our hiring team will then collaborate on the video interview and determine if the candidate should be invited to an in-person interview which is also scheduled using our interview scheduling tool. If the candidate is non-local, we do the final interview as a live video interview on the Spark Hire platform. Finally, when we make an offer to a candidate, we will send a video message using our solution. The video message is from me and expresses our excitement about the candidate joining the team. This is a nice personal touch that gives us a competitive edge in the tight market for talent. What do you wish more HR professionals and recruiters knew about video interviewing? I wish that more HR professionals and recruiters knew about one-way video interviews. Many folks still believe that video interviewing platforms are the same as video chat/video conference solutions (e.g. Skype, Facetime, Zoom, etc.) As a result, most people think that video interviews are only used when you have non-local candidates. However, most organizations using video interviews are leveraging one-way video interviews which allow candidates to do the interview on their own time. This solution should be used no matter where your candidate is located. Just because a candidate lives 5 minutes down the road doesn’t mean you should do a 1-2 hour in-person interview with them. A one-way video interview empowers your team to learn more about your candidates in less time so you can ensure you’re only doing final, in-person interviews with the best people. Personally, I believe that the video interviewing industry is going to experience huge, exponential growth as soon as HR professionals and recruiters realize that one-way video interviews are available to them. For anyone who won’t be able to make it to the Spark Hire, booth #1709, in Las Vegas, what do you want them to know? No matter the size or industry of your organization, if you’re hiring, Spark Hire should be a staple in your hiring process. Our video interviewing solution will help you make better hiring decisions in a fraction of the time. If you’re not able to make it to our booth at SHRM, request a demo on sparkhire.com and one of our product experts will show you a personalized presentation to paint a picture on how video interviews can benefit your organization. Also, if you decide to move forward with Spark Hire, there are no contracts so it’s a minimum commitment for a potentially huge improvement in your hiring process. All of us go through the angst of looking for a new job throughout our careers. We wonder whether we should write a resume that is focused on the exact job we want - on our deep specific experience, or one that covers the breadth of our life experience – that we like to paint or sing or volunteer. We would like to think that the world today moves more quickly than it did in the 15th century. When any of us look at new jobs, we want to share our whole selves – we want to show that we can adapt to whatever the job may be. And yet, we worry that we are not qualified enough, so we struggle with whether or not to include the extracurricular interests in fear of being viewed as not focused. As hiring managers, we tend to focus on deep expertise – and may brush off the “breadth” candidates in favor of a technical expert. However, just as it was in the 15th century, our world is changing fast. We need people who know how to learn. We need the breadth candidates. Ludovico Sforza, to whom Leonardo wrote his letter, deserves a lot of credit for saying "yes" to da Vinci - the Sforza commissioning of the painting of “The Last Supper” literally changed the world. As we go through job changes, it’s hard to know how to portray ourselves. As HR professionals, recruiters, and hiring managers – it’s easy to rely on keywords and resume scans to find the best fit, but Leonardo reminds us that often times, it’s the candidate who might not have a degree in JSON or C# or GDPR – but one who can build chariots, sculpt and paint, design bridges, and architect a new building who might be the best candidate for a rapidly changing world. As we move to a world of AI and machine learning, and as recruiting and HR becomes more automated, we run the risk of missing out on candidates like da Vinci – candidates are trained to make it past the automated scans by focusing their submissions – and da Vinci went for breadth in his letter to the Duke – and it worked out for both of them. Something to consider. We need more da Vinci’s. Salary.com is the leading consumer and enterprise resource for compensation data, software, consulting, and education. For nearly 20 years, we’ve not only helped people understand their worth – we’ve also helped organizations attract and retain top talent by enabling smarter pay decisions. Today, we serve more than 8,000 enterprise customers, 25,000 participating organizations in our surveys, and millions of consumers each year by connecting them with critical pay and benefits data, technology, and resources. With our data, we specialize in helping our enterprise clients find the right price, for the right job, every time. We offer HR-reported market data that covers 15,000 unique job titles across 225 industry breakouts across the US, as well as traditional salary survey data from more than 25,000 organizations in 100 countries around the world, delivering unparalleled pricing accuracy to HR and compensation professionals worldwide. With our award-winning CompAnalyst platform, we enable compensation and HR professionals to marry external market data with their internal company job and employee pay data, making it easy to keep pay practices externally competitive and internally equitable. We offer streamlined market pricing workflows, robust salary structure modeling capabilities, comprehensive survey participation and management tools, and self-service reporting and analytics solutions that help our enterprise clients make smarter pay decisions. Salary is fascinating. At least to me. I’m sure it is to you too. What are some of the learnings you’ve had in the three years you’ve had at Salary.com? Learnings could range from “people aren’t paid enough!” or “no one knows what their worth!” Etc. I have learned so many things that it’s hard to narrow it down! The main thing I’ve learned is that compensation is so much more complicated than people think, and that it’s so critical to marry your external market data with your internal company data. When thinking about your pay program, external competitiveness and internal equity should be two sides of the same coin, so to speak. You can’t make decisions based solely on market conditions, but you also can’t make decisions based solely on your current pay practices - too much emphasis on one over the other is going to result in recruiting, retention, and employee morale issues. It’s a balancing act, and executing that every day is not something for which compensation and HR professionals get enough credit. When we started our digital marketing company, salary was across the board. Some people got paid this, and others got paid that...for the same roles. That become problematic. So, we implemented a Level System that would compensate people more fairly according to their role, expertise, and demonstrated performance. What I learned is that implementing salary structures are tough, and seem to be ever evolving. What’s your advice to small businesses looking to implement a salary structure that fairly compensates people? As your small business grows, it’s essential to create a pay program that will promote internal equity and growth within your organization. Salary structures, as you mentioned, can be a great tool to help you visualize the external competitiveness and internal equity of your pay programs. These visualizations make it easier to evaluate your pay across job groups and keep pay programs up-to-date as conditions inside and outside your business change. My biggest tip for getting started with salary structures is to make sure you have a clear compensation philosophy in place before you start your structures work. What guides your decision-making around your internal comp programs? What market percentile do you target when pricing jobs? Do you tend to prioritize market competitiveness, or are you hyper-focused on internal equity across similar jobs? How do you view promotions, jobs changes, and opportunities for pay progression in your organization? The answers to questions like these will drive critical decisions about how you’ll build out your structure, including how many grades you’ll have, how wide your ranges will be, which jobs will fit into which ranges, and more. I love salary structures, but the first time I saw one in Excel - yikes! Structures can be daunting, but they don’t need to be. In our CompAnalyst platform, for example, you can now use our salary structures wizard to build out a structure in just two clicks, either based off of market data or an existing structure in your library. I always say that if I can use it to build a structure, anyone can - and I stand by that! Let us in on the magic. What’s the salary structure and process like at Salary.com? How do you utilize your own tech and process to compensate people? A huge benefit of working at Salary.com is the transparency that we have around market pricing. Here in Marketing, I make sure that every one of my employees has access to our CompAnalyst Market Data product, and when we have new hires join the team, I always tell them that I expect them to price their own job and let me know if they have questions so we can talk about why they were hired in at the rate they were. Same goes for tenured employees - if you have questions about your pay, or your opportunity for pay progression here at Salary.com, I want to know right away. There’s nothing worse than letting unanswered questions about pay or career growth and development linger and grow into miscommunications or resentments, and I’m so thankful that our culture of pay transparency promotes those kinds of opportunities for thoughtful discussion. Obviously, on an organizational level, we use our data and our software in all aspects of our pay practice, from market pricing to merit planning. But we also leverage our internal subject matter expertise on compensation to make sure we’re making data-driven, strategic compensation decisions. Our Director of HR works closely with our Senior Vice President of Compensation and subject matter experts from our data, compensation, and consulting teams to optimize our approach to total rewards, and then works closely with all of the departmental heads to ensure smooth and consistent communication about our policies. What do you wish more HR professionals and recruiters knew about salaries? The 50th percentile shouldn’t be the end of the pricing conversation - it should be the start. With market pricing, so many of our clients set the base pay for their roles at the market median, or 50th percentile, of the job and move on. But there are a million reasons why the market 50th might not be the right answer for every job in every organization. Maybe you’re recruiting for an emerging hot job and need to pay a premium in your local pay market in order to land the best candidates. Maybe you’re promoting candidates internally from more junior roles and want to enable pay progression within their next job. Maybe you have high turnover in certain jobs or departments. Maybe setting offers for new hires at the market 50th will create salary compression with tenured employees. How you price your jobs should reflect your compensation philosophy, the pay markets in which you recruit talent in, and your organizational goals - not just the market median number in a salary survey. What are the biggest challenges companies face when paying employees? How do they overcome those challenges? Keeping prices up-to-date and in line with the current market is hugely challenging, especially if your organization is growing rapidly or you’re operating in extremely competitive pay markets. Many organizations that used to conduct market reviews once annually are now revisiting their market pricing twice a year or even four times a year, especially for the hot jobs in their organization. We’ve also seen job-range salary structures grow in popularity as organizations try and keep pace with ever-changing market prices. Having a different grade for every job in your organization may sound daunting, but it allows you to quickly adjust your internal pay ranges and better align your pay with changing market conditions. In the same line of questioning above, how important is salary in employee retention? I know you’re biased, but, I know you also have a unique perspective on this. I definitely am biased, but I think most HR experts would agree that if not the main contributor to employee retention, compensation is up there in the top three. According to the Compdata Survey Practice at Salary.com, the average voluntary turnover rate in the US in 2018 was 14.2 percent, meaning that 1 in every 7 employees left their organizations to pursue other opportunities last year. In that high-stakes environment, getting pay right is critical to retaining top talent, especially in roles and locations where the market is moving quickly. 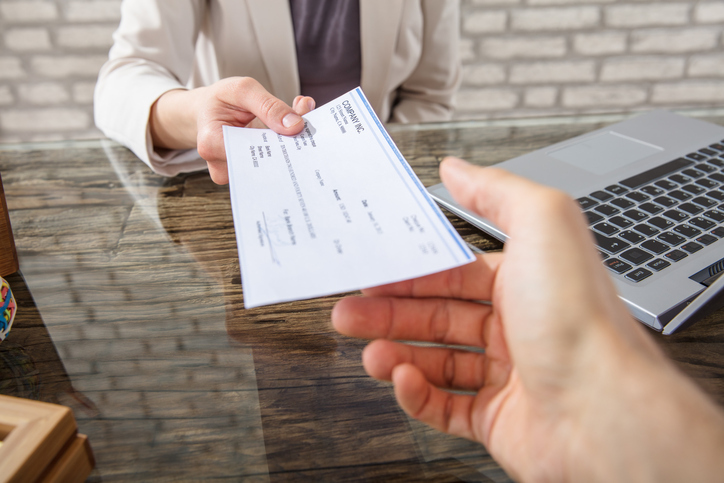 While I firmly believe your pay practices can make or break your retention efforts, I also think it’s important to recognize the role that your approach to total rewards can play in those same efforts. Every aspect of the total rewards model - compensation, benefits, career and development opportunities, recognition, work-life balance - can have a huge impact on your ability to retain employees, and it’s critical that you embrace a total rewards approach that maximizes your employee experience and demonstrates your employee value proposition. For anyone who won’t be able to make it to the Salary.com booth #2606 in Las Vegas, what do you want them to know? You can price a single job for low or no cost, right on our website! Even if you’re a small business just getting started with a more formal approach to compensation, or if you’ve yet to get approval for a fully-fledged HR budget, you don’t need to settle for subpar data quality when it comes to pricing your jobs. To build on that point further, you can price YOUR job on our site. As an HR professional, it’s critically important to understand your market rate and to negotiate your best possible compensation and benefits package. At Salary.com, we’re all about enabling the power of you. When it comes to total rewards, you set the tone for your business, and you should feel confident knowing that your business is getting pay right - for you and for your employees. The First Step Act, signed into law in December 2018, aims to reduce sentences for nonviolent offenders in federal prisons and improve programs to reduce recidivism, including workforce readiness. Employers who struggle to fill positions in a job market where there are more jobs than applicants can take the next step by including this population in their recruiting efforts. Those who have served their time should not be “re-sentenced” by employers, especially when businesses are experiencing a human capital crisis. So how should employers take the first step? SHRM’s Getting Talent Back to Work initiative provides employees with resources, including the Getting Talent Back to Work toolkit to help organizations create a successful second chance hiring program. What is your experience with second chance hiring? Please join @shrmnextchat at 3:00 p.m. 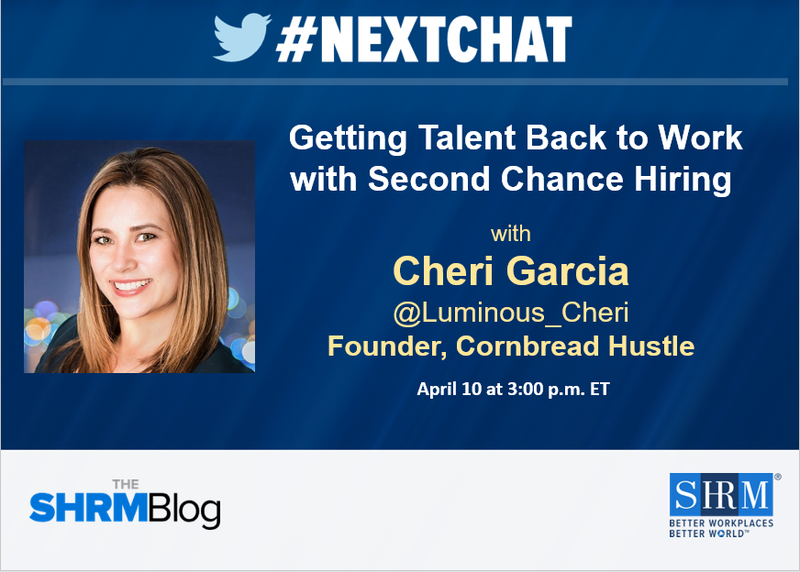 ET on April 10 for #Nextchat with special guest Cheri Garcia (@Luminous_Cheri) -- and Cornbread Hustle recruiters Juan Garcia (@JuanGarciaHD) and Jesus Monge (@JesusMonge75)! We’ll chat about how to create and manage a second-chance hiring program. Q1. If your organization currently has a program in place to hire candidates with criminal histories, what were your biggest challenges getting started? Q2. What considerations should be made when screening candidates with criminal histories? Q3. How can an employer assess whether a formerly incarcerated applicant has a record of rehabilitation that shows a likelihood that the person will commit future harmful acts? Q4. Not all convictions pose a significant risk on all jobs. The threshold question is whether the job in question presents an opportunity for the type of conduct involved in the conviction. What other considerations should the risk analysis include? Q5. What considerations should be made when interviewing candidates with criminal histories? Q6. What should employers consider when creating a program in their organization to hire applicants with criminal records? Q7. How can hiring the formerly incarcerated help grow your business? Q8. What advice can you share with other employers for creating a program to hire people with criminal histories? My second 2019 SHRM Annual Conference & Exposition vendor spotlight for you is… Beekeeper! Again, I took to Google to learn more about the vendors who I had never heard of before, and to see which ones I connected most with! The first thing that comes up when you search their name is that they are an employee communications tool. I read on to find out that they have branched out into operations as well and focus on engaging and bringing together the "non-desk" workforce such as employees in retail, hospitality and manufacturing. These are employees who may not have a company email address. Coming from an HR background in both hospitality and manufacturing, I wanted to learn more about this tool. Read on to see what else I learned from my chat with Austin Sandmeyer, North America Marketing Manager! "We wanted to help geographically distributed workforces and non-desk employees feel as if they were sitting right next to each other and to keep everyone in the company aligned. Companies with a large number of non-desk employees have a hard time keeping them in the loop with the rest of the organization. Beekeeper bridges this gap by connecting operational systems and communication channels within one secure platform that is accessible by mobile and desktop devices. You can customize it, schedule automated messages, establish communication streams, create and distribute employee surveys, and so much more. There are endless opportunities for making operations more simple and efficient, all while keeping your teams more engaged and happy to come to work." Beekeeper is an app that employees download on their smartphones. No work email address is needed to sign up for an account. When an employee opens the app, they see their streams, similar to a Facebook feed. There is also a chat and group messaging function. Beekeeper started as a communications tool to help leaders have direct communication with front-line staff. They have built on the communication piece and now help companies with operations as well; their software is able to sync with HRIS systems and provide employees their schedules and paystubs among other things! When I worked in hospitality, we would email out the staff schedule to their personal emails which sometimes would go unchecked, and we would post the schedule on the bulletin board near the time clock. Although it was the employees' responsibility to obtain their schedule, a tool like Beekeeper would have made it easier for them. You can set up automated workflows in Beekeeper based on triggers or dates, which I thought was so cool! For example, when a new employee logs into the app for the first time, a message it sent to them from the CEO, their manager, or whoever you want it to be from with a welcome message. A few days later, they will get another message with reminders to turn in certain forms or other deadlines. You can use it to send messages and reminders to enroll in new hire benefits, open enrollment, or any other information you need employees to receive timely. I also thought it was a great platform because you can use it for confirmation campaigns. If you as HR need to track who has seen the message, you can add in a checkbox that users have to acknowledge they received the message and read it. Another awesome feature is that translation is built in! Employees can translate all posts in the app into the language of their choice. The non-desk workforce can be very diverse and with that can come language barriers. Beekeeper can also be used for employee engagement and recognition. Notifications can be sent out for employee of the month, birthdays, contests, etc. Employee surveys can be administered, and data collected. Peers can give each other shout-outs and kudos, and share something great the team just accomplished. Team leaders/supervisors can create group chats and invite employees. Austin gave a great example of the hospitality industry using Beekeeper in its every day operation. A housekeeper noticed an issue with an outlet in one of the rooms, took a picture of it and posted it to Beekeeper. The maintenance team got a notification and someone came to address the problem. Employees use Beekeeper to communicate with each other and keep an eye out for problems that they can help each other solve. I know I can think of a few ways in my organization that a tool like Beekeeper could speed up the process and cut down on customer frustration or delays that could impact revenue. When attendees visit the Beekeeper booth #2458 at #SHRM19, they will be able to learn and see how the app works. Wouldn't it be awesome to generate more communication, accountability and engagement within your workforce? Do you even know the last time employees checked the bulletin board? An industry communication expert will be at the booth to answer any questions specific to your challenges. They look forward to having insightful conversations with HR pros at the conference. Oh, and of course there will be prizes being raffled off! Trust me… there is so much more to discover about this platform! I hope you enjoyed the information that Austin and I were able to cover during our call. Their robust website has a ton of information and customer reviews. To learn more, you can visit them online at https://www.beekeeper.io/en. Reach out to the team on Twitter @BeekeeperSocial or email them at contact@beekeeper.io with any questions! If you are headed to the 2019 SHRM Annual Conference & Exposition (#SHRM19), plan ahead. There will be nearly 200 concurrent sessions from which to choose! I recently had the pleasure of interviewing Robert Boonin, Esq. to learn more about his session, “Wage and Hour Compliance: A DOL Update and Ways to Avoid Overtime Liability Landmines,” to be presented on Monday, June 24 at 4:15 p.m. Here’s a sneak peek into this session. What take-aways do you expect to provide attendees? (1) Prepare for the new salary level! The new salary level regulation is on the horizon and will likely be rolled out by early 2020. Just like we did in 2016, HR professionals should audit their payroll and time and & attendance practices. Get ready for the higher salary level and how that will impact your organization. (2) This is a good time to conduct a comprehensive audit on your practices and document them well. This session will provide reasons for doing so. Why are these issues important in today’s workplace? There are more wage and hour lawsuits than any other area of employment law! It’s the employment lawsuit du jour. Liability can be reduced or eliminated if you look at these issues in advance. If you audit and properly document your process, you can show good faith towards compliance, reducing your exposure to liquidated damages, reduce your liability by a year, and reduce your exposure to the employees’ attorneys’ fees, all of which can run into the hundreds of thousands, or more! This is “an ounce of prevention” time. What is the practical application for HR professionals? A few examples would be to look at how you account for and meal breaks and what happens when they’re missed or interrupted. How do you calculate a non-exempt employee’s “regular rate” of pay? This issue is among the newly proposed DOL wage and hour regulations, addressing issues such as whether the value of cashed out, unused sick days must be included in the employee’s regular rate or pay. These and other practical tips, such as exemption issues, will be reviewed during the session. As these issues get more attention, employees will become more familiar with them too, and that may cause them raise questions or even find a lawyer. You want to be prepared with the answers, and you also want to be in compliance. What unique perspective do you bring to this topic? I’ve been working in the wage and hour arena for more than 30 years. I co-founded the Wage and Hour Defense Institute (WHDI) more than ten (10) years ago. Most recently, I was the co-chair for ABA’s FLSA Subcommittee. I’m kind of a wage and hour geek. Is there anything else you would like folks to know about this session? 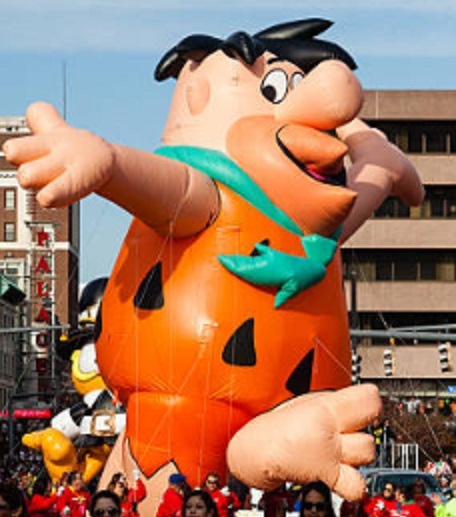 Expect audience participation and engagement! Conference session planning tip The concurrent sessions are offered in one of nine tracks. This session is offered in the Compliance track. You can check out this program and 36 others in the Compliance track here. Some of the best sessions are the early ones! I know, it’s Las Vegas and the trip wouldn’t be complete without a little bit of partying. But I can tell you from experience, some of the best sessions are early in the morning. 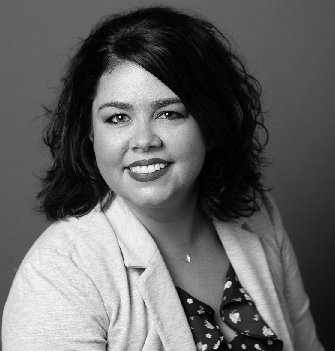 I know I’ll be grabbing a venti dirty chai to make the “Work Inspired: How to Build an Organization Where Everyone Loves to Work” session at 7:15 a.m. on Monday, June 24. Check out at least one session on the Smart Stage. SHRM has their own version of TED Talks – it’s called the Smart Stage. The sessions are short (less than 20 minutes) and they take on a more conversational tone. I’m hoping to stop by Louis Lessig’s session on “Understanding Cybersecurity: The New Role of HR in Protecting Your Organization” on Monday, June 24 at 12:20 p.m. 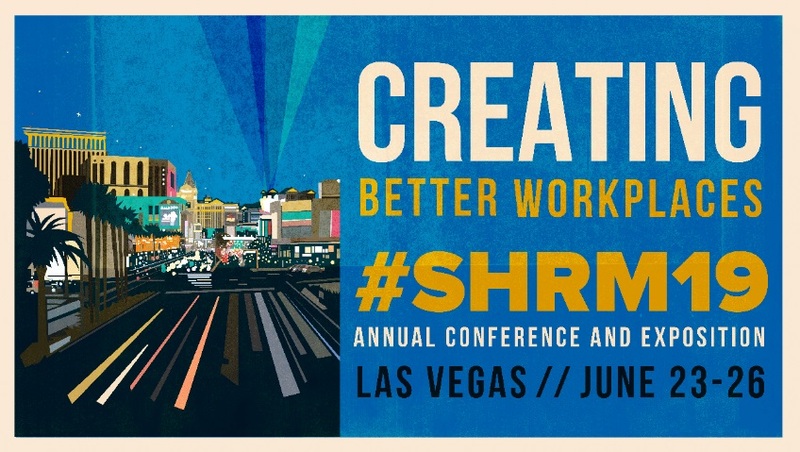 The 2019 SHRM Annual Conference and Exposition offers a lot of education, networking, and fun for professionals looking to stay current with what’s happening in the profession. And I’m not just saying that because I’m going. Every year, it continues to amaze me. Hope you can join us in Vegas Baby!